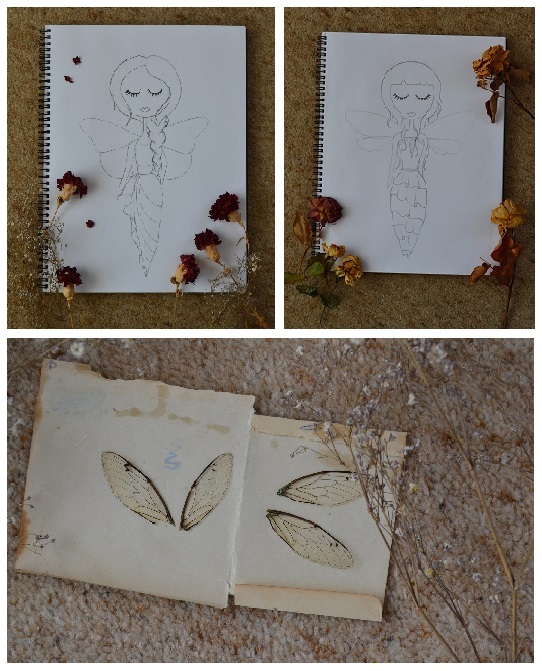 I have been gradually getting back into artsy stuff and this week i have two new Girls/Drawings to share! 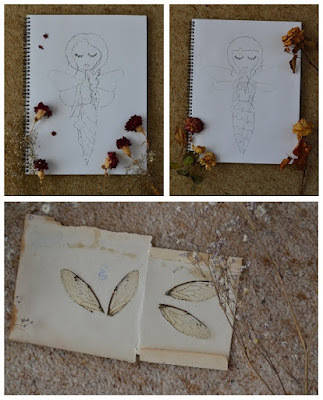 The Inspiration behind these Girls came when we went on a little outing to a rather whimsical, somewhat secret location and found HUNDREDS of these little wings scattered all over the ground. I put a few in my pocket, alas, most of them broke... must make a note to go back and gather more!